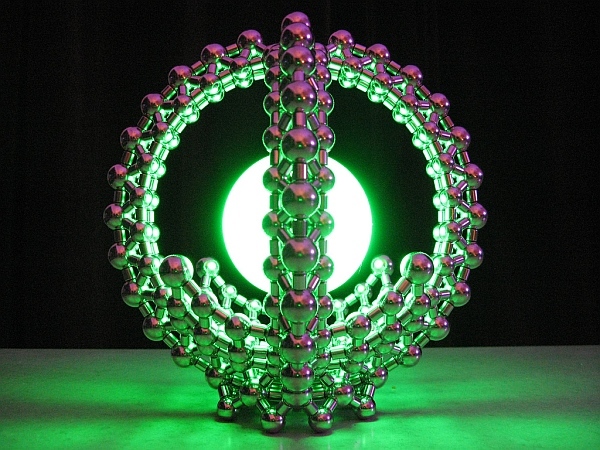 What cool things have you made with magnets lately? Anything like the above dodecahedral construction? 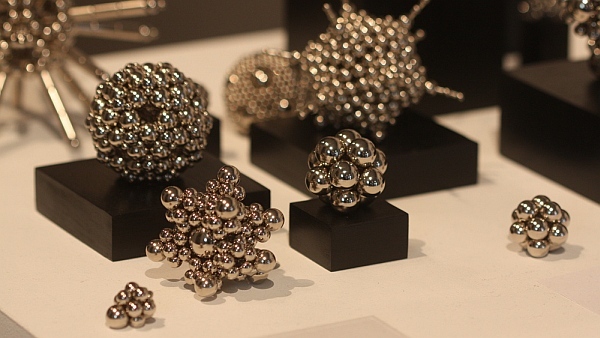 These geometric sculptures are the creations that resulted from Robert Hodgin playing with thousands of small magnetic spheres and cylinders. 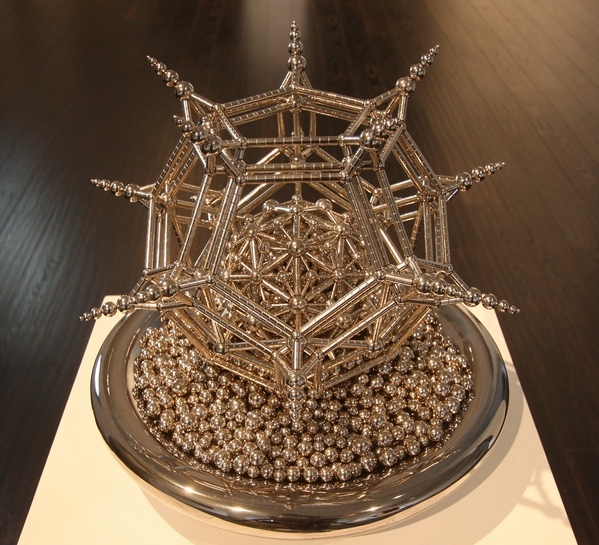 I especially like his geometric forms which remind me of Ernst Haeckel’s radiolaria drawings. 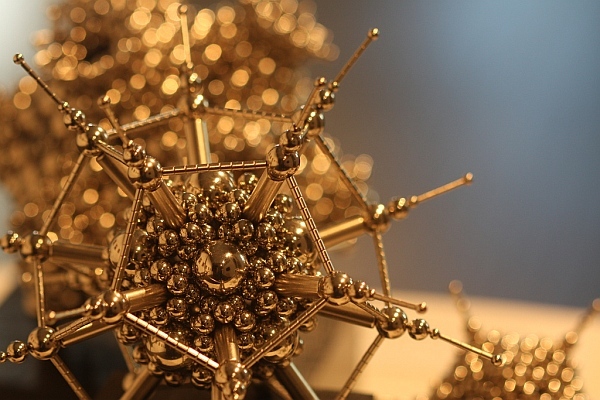 The possibilities for making beautiful geometric constructions are unlimited. This article first appeared on Make: Online, April 12, 2010.